From the mad scientists at NTT Communication Science Laboratories comes the amazing Parasitic Humanoid. 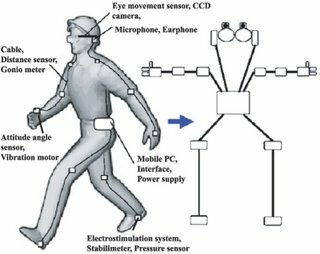 The wearable robot consists of sensors to measure the motions of the body and transducers to induce the body to move. The human provides the mechanics of the robot. 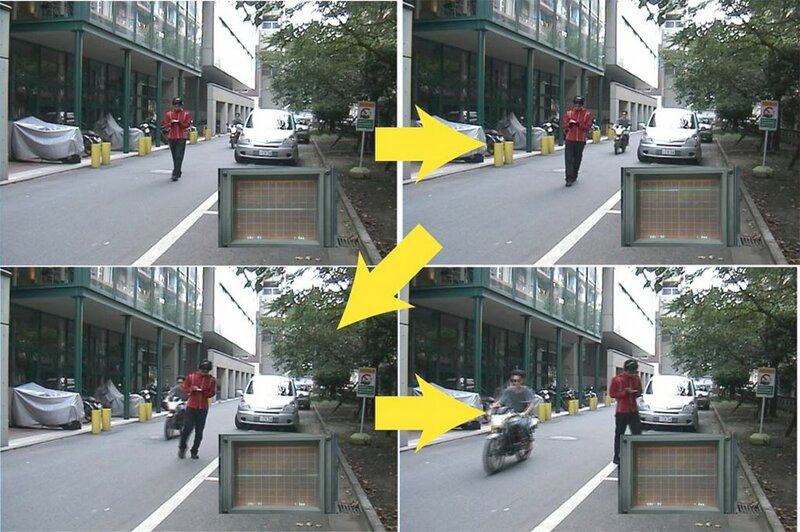 The sensors build up a history of motion for the wearer and then predict the behavior. "Through symbiotic interaction, the internal model and the process of human sensory motor integration approximate each other asymptotically. In essence, we are designing the nervous system." 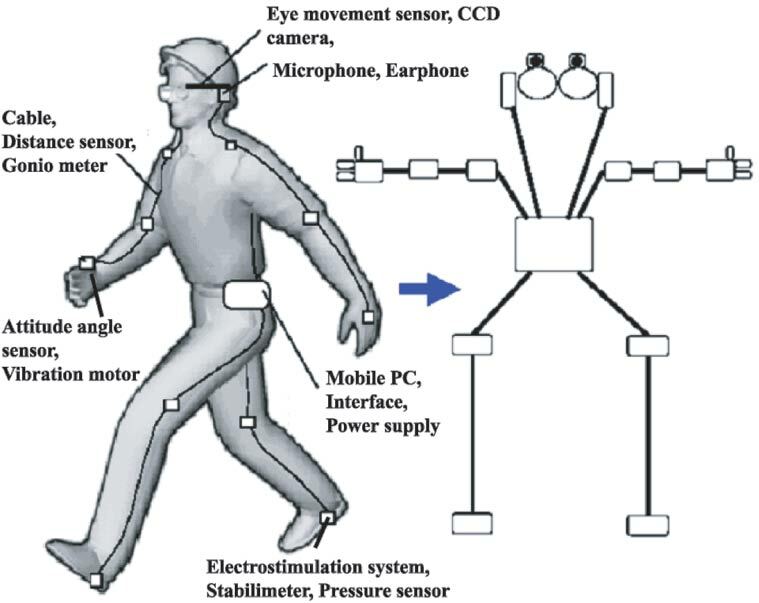 The Parasitic Humanoid consists of over 100 input sensors for body position, eye movement, audio and visual sensors. There are sensors mounted to the fingernails that can measure the pressure applied by the finger. The computations are done on a seperate computer. The robot controls the human through stimulators. Galvanic vestibular stimulation (GVS) electrically stimulates the inner ear control of balance and motion. Training for sports. The user can record in detail their actions during a golf swing. They can review their swing and compare it to Tiger Woods swing for example. They can download the professional swing into the Parasitic Humanoid and symbiotically work toward the ideal. Dual Conciousness. 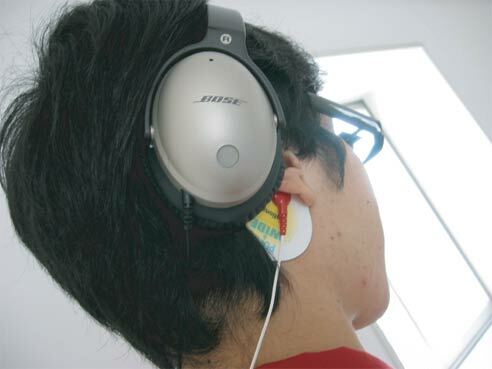 Visual sensors could look behind the wearer and translate the information into action without the intervention of the user. For example, if these "eyes in the back of the head" see a car coming toward you from behind, PH will automatically have you turn and walk out of the way. "The wearer doesn't have to pay attention to any annoying verbal information in his continuing behaviors." I'm sorry, that's just creepy.